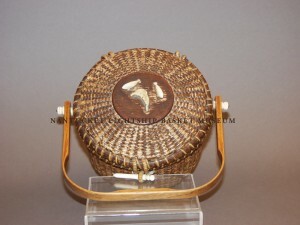 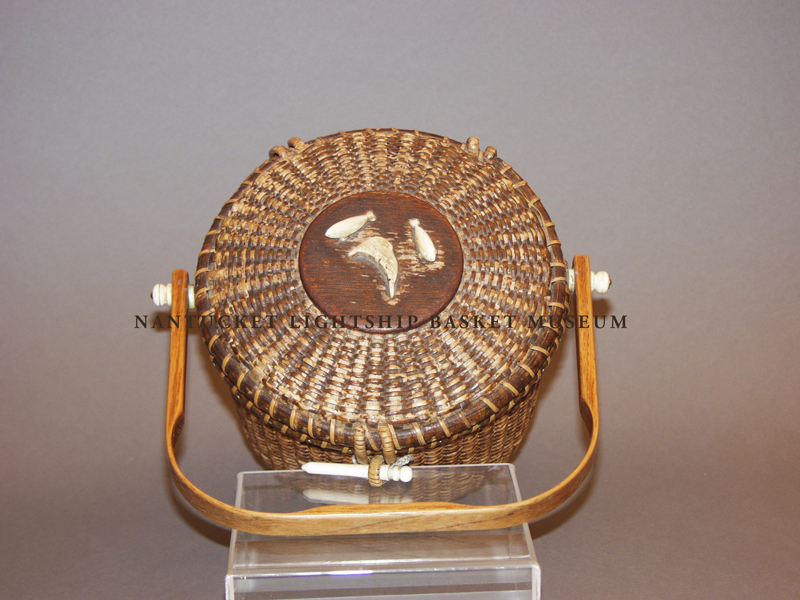 Covered round shoulder basket, made by John Kittila Jr. Ivory pegs and clasp, with two small carved ivory seals and the map of Nantucket. 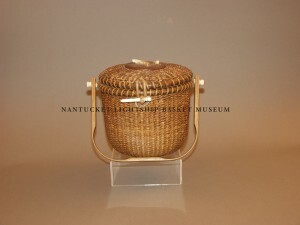 Carver unknown. 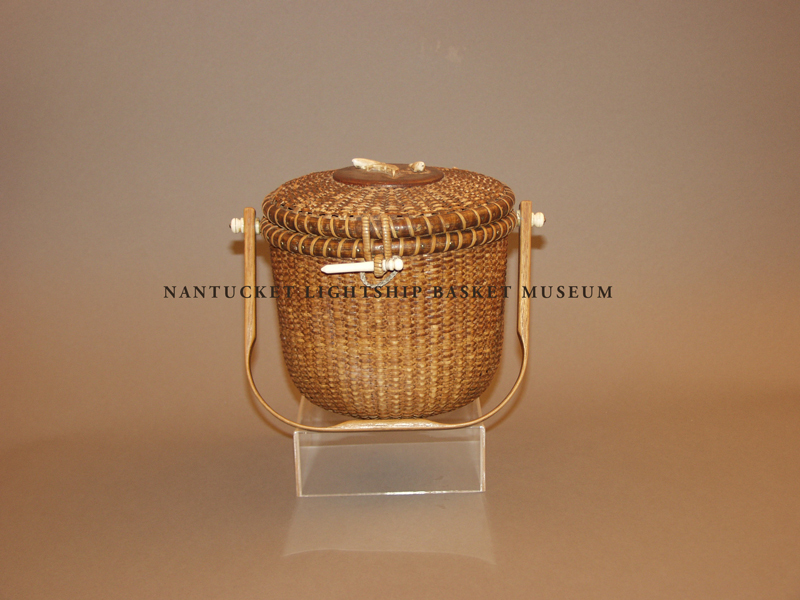 The basket was made on the Nantucket Lightship.